Your dream home can be purchased using your Killeen VA home loan. 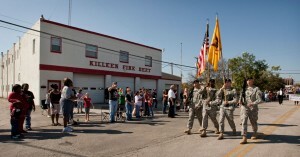 Killeen is home to Fort Hood, the largest Army base in the world and it is also one of the prettiest areas in the state. Now is a great time to purchase a home using your Killeen VA loan. W hen you are ready to start the process of buying a home, press the “get started” button and send us your information and a VA specialist will call you and get you set up with a Killeen VA specialized Realtor. If you need help with VA lending, let us know when we call. We have a great network of VA lenders that we work with every day that know how to get the job done. We can have a Killeen VA home mortgage lender call you at your convenience and get you prequalified. Usually the VA prequalification will take less than 24 hours. Although USVA Realty is a real estate brokerage and not a lender, almost all of our clients are using their VA loans to make their purchase. We have the best VA lenders in the state ready to go to work for you today. We are in the business of making the VA purchase process as easy as possible. We package the whole transaction together for you, taking the guess work out of buying a home. Your Killeen VA mortgage can be used to buy an existing home, a new home or a Condo approved by the VA. Our affiliate Realtors have access to every home listed in the Killeen area MLS. Our service area is all of Killeen and its nearby areas. USVA Realty provides services from Temple and Belton to Harker Heights and Copperas Cove to the West.